Hanguk Drama Hawaii: Want to learn Korean? It's a new semester of Fall classes. Want to learn Korean? It's a new semester of Fall classes. We wanted to let you know about our upcoming Fall Semester, which will start August, 24, 2013! 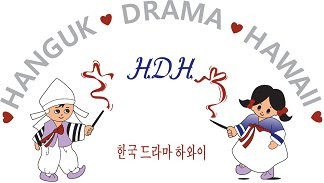 Formerly called Korean Cultural School, we will be changing our name to Hongik Korean School. We are also moving to a new location! Our new location will be at All People Mission Church located at 620 Waipa Lane, Honolulu, HI 96817, near the intersection of Liliha and Vineyard Blvd right after Saigon Restaurant. There will be ample parking :). Our school name Hongik comes from the concept of "Hongik Ingan," which translates into "contributing to the overall benefit of mankind." Serving as the foundation of South Korea's educational policies, Hongik Ingan aims to develop people to their fullest potential so they can be well-rounded and contributing members to society. Hongik Ingan was originally founded by Emperor Dan Gun, Korea’s first legendary ruler of the Goh Joseon Kingdom (started in 2333 BC), the first ruling kingdom of Korea. This is a well-respected principle in Korea, and is considered the unofficial motto for the country. Please don't hesitate to let me know any questions or concerns you might have!